There’s a valley deep in the heart of the Waikato where a special kind of magic exists. 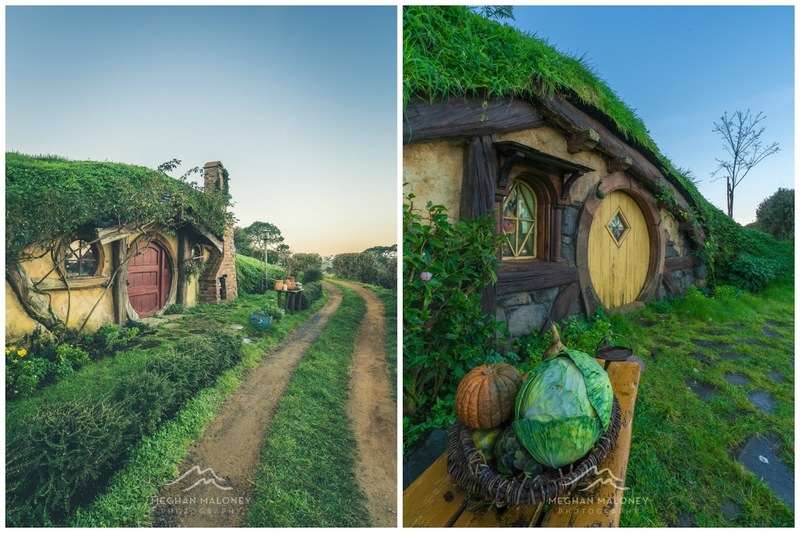 You could be driving right past and never know it was there, and even when you meet at the Hobbiton tour departure point there’s no evidence of the Shire where you’ll be heading. Travelling by vehicle through a quiet farm track with sheep scattering left and right, the sense of anticipation builds, until suddenly through a clearing you get a glimpse of the Green Dragon Inn and lake and your heart leaps with excitement. Round another corner more pockets of the Shire with little hobbit holes become visible and suddenly the journey to Middle-earth begins for real. 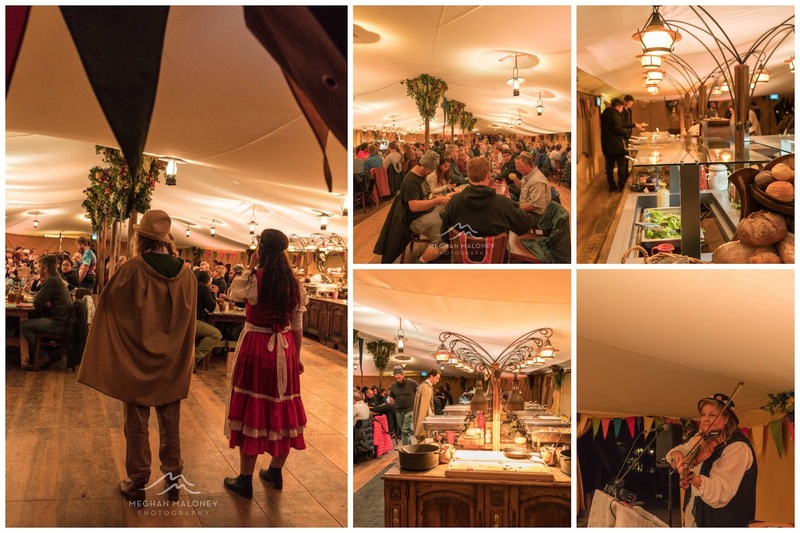 Aside from the daily tours on offer, Hobbiton Tours hosts a number of special events throughout the year such as International Hobbit Day, Summer Solstice and a Beer Festival to name a few, but this was the first ever Mid Winter Feast to be held and I for one was thrilled to be attending. 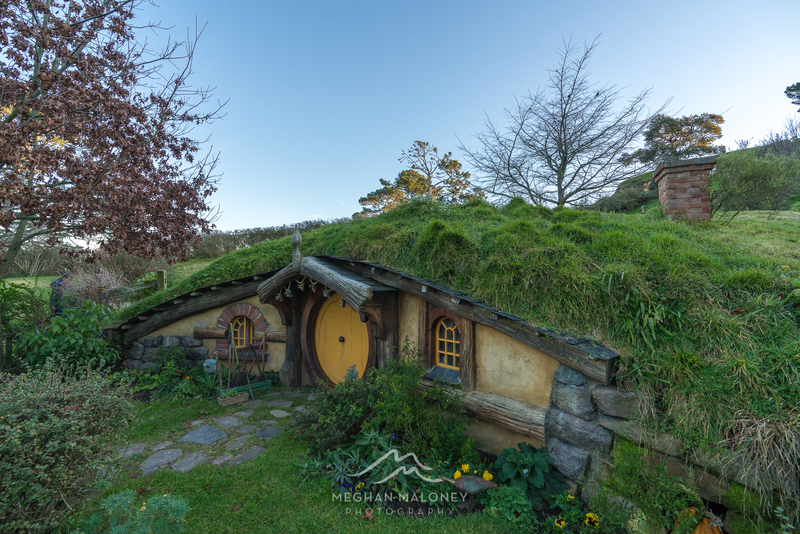 Arriving mid-afternoon on a crisp and clear mid winter day, we wandered at leisure through the set, exclaiming over the intricacies of the detail at each hobbit hole, clearly showing the owner for his interest or occupation. 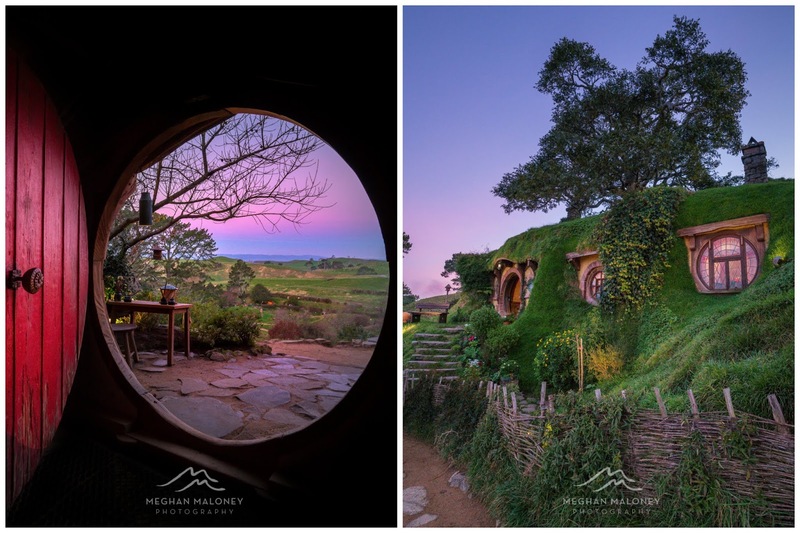 It was a real treat to pop inside the ‘red-door’ hobbit hole just as the pink and purple hues of dusk settled about the hills. And then it was time to feast! The Green Dragon Inn served up a delicious concoction of freshly brewed beers and ciders but my drink of choice was the homemade mulled wine which warmed the insides nicely (I may have had more than one!) before settling down to a hearty buffet dinner in the Great Tent. The dinner itself passed in a blur of good company, a hearty meal and conversation with very appropriate tunes provided in rousing fashion for by Marian Burns. After feeling full as the proverbial goose (or is that meant to be abull? ), the individual tours met up with their respective guides for another journey around the set by lantern light - a whole other level of magical. 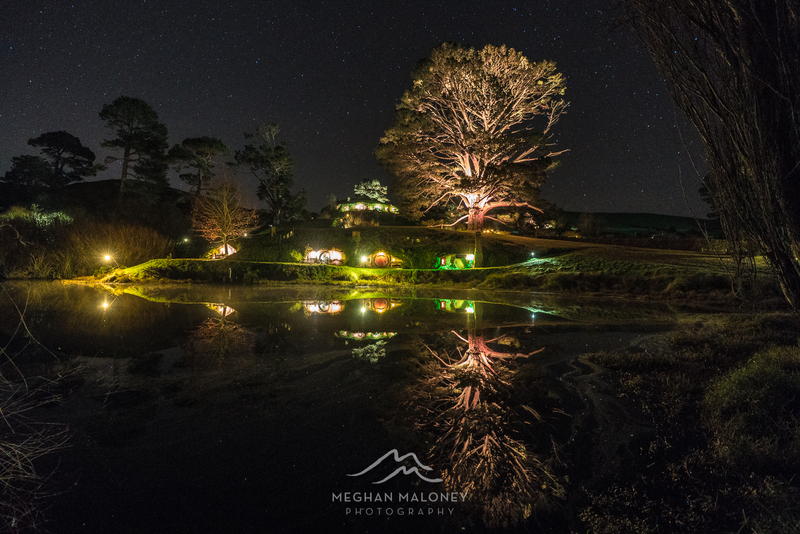 As guests of Hamilton & Waikato Tourism and Hobbiton Tours, a few fellow photographers and I were able to stay on to capture the starry night sky over Hobbiton, and what a privilege it was to see this fantastical place come alive under the cloak of the Milky Way. 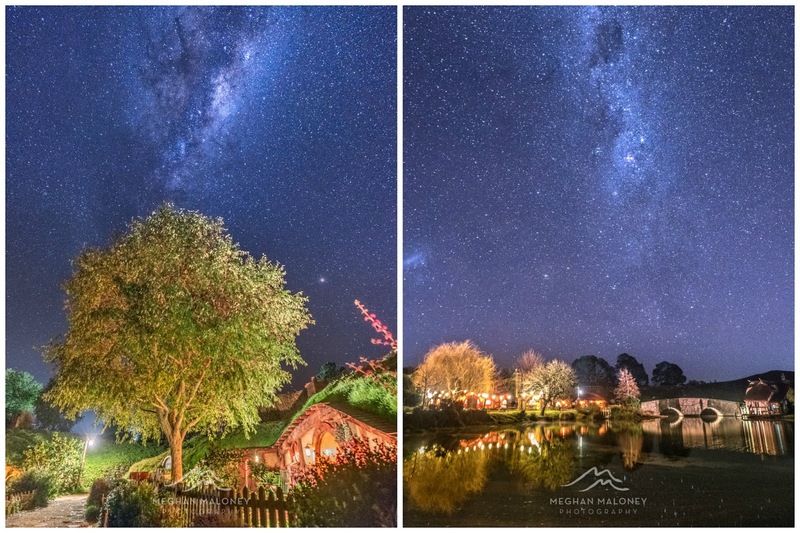 New Zealand is famous for its dark skies which are perfect for star gazing and this spot is no exception facing away from any visible city lights deep in a Waikato valley. 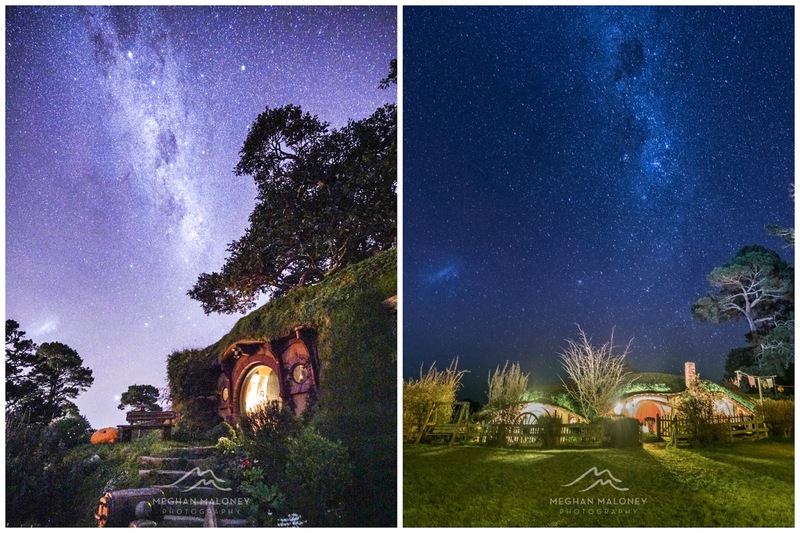 The opportunities for shots were endless, but my favourites would was capturing the tail of the Milky Way above Bilbo’s Bag End, getting a glimpse of the Galactic Core above a tree and a hobbit hole, and the view over the lake towards the Green Dragon Inn with countless stars to light the way. I was immediately transported back to scenes in the Lord of the Rings film where the Shire hosts a party in celebration of of Bilbo's eleventy-first birthday and fireworks are set off, and Bilbo remarks 'Gandalf, my old friend, this will be a night to remember'. And it certainly was a night for me to remember too! 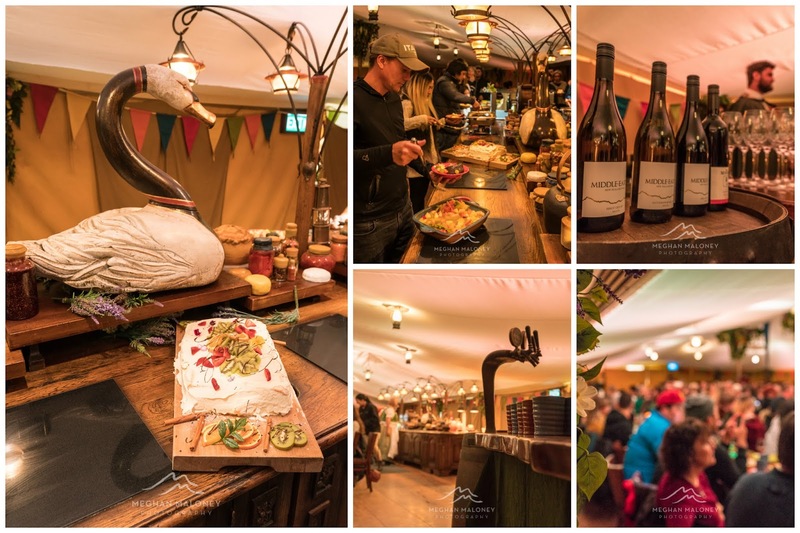 The Midwinter Feast was hosted by Hobbiton Tours and Hamilton & Waikato Tourism but all thoughts and experiences are my own.